Stamping is a fast way to make professional looking bases or scenery with little money or time. 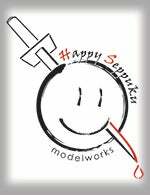 Visit happyseppuku.com for more detail, directions and videos on using our stamps. All of our stamps are made in the USA from synthetic rubber. The "size" of the stamp tells you the actual texture area.